6oz. (175ml.) 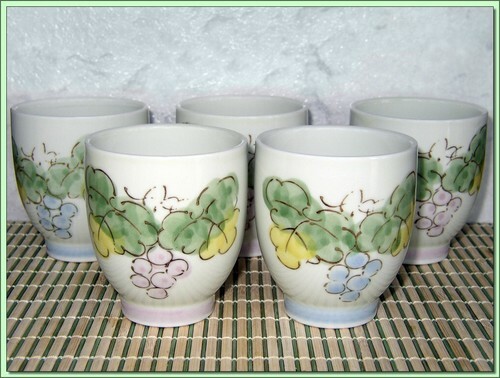 Delicate but sturdy white high-glazed ceramic tea cups with a handpainted grapevine design.